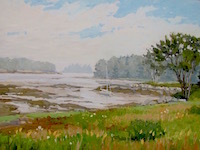 Descended from Russian grandparents who fled to America in 1917, Stefan Pastuhov was instantly inspired by his surroundings when he moved to Maine in 1984. 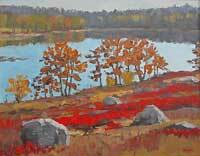 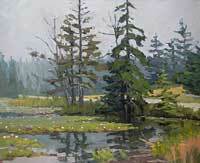 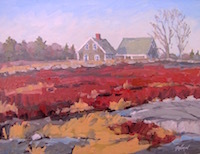 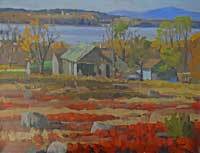 In those early years he and Stapleton Kearns painted together almost daily and Pastuhov loved the challenge of painting the changing weather and light, coming and going of the tide, the beautiful red of the blueberry barrens, pristine winter landscapes, and the intemperate seas and rocky coast. 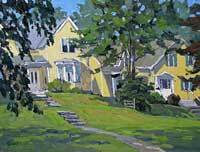 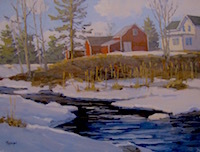 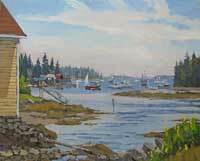 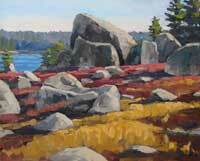 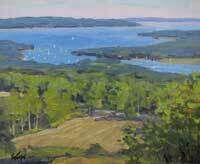 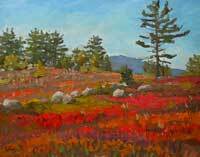 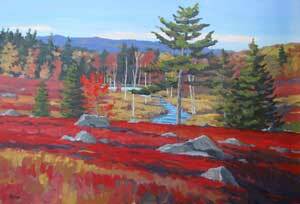 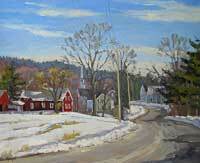 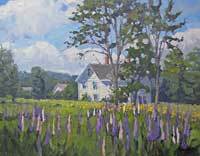 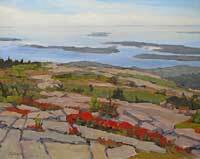 He has been especially influenced by painters in the Cape Ann plein air tradition Aldro Hibbard, Emile Gruppe, Paul Strisik, and often paints Maine landscapes with Cape Ann artists like Donald Mosher.